The 3Â½, as it became known, was produced in prototype form at the Morini factory in 1971. It used a revolutionary (for the motorcycle market) heron head, which had been trialled in anger by Lambertini, an engineer from Ferrari, on single cylinder Morinis used at the Isle of Man ISDT competition. Other innovations included electronic ignition, a six speed gear box and electronic rev counter. The heron head has the combustion chambers machined into the crown of the piston, reducing production costs, improving versatility in design and simplifying construction. After further development the first machines entered the Italian market in 1973, with an initial batch of 3Â½s (both Strada and Sport) imported into the UK by a new company, Harglo, in 1974. The Strada never had the same cachet as its quicker Sport sibling, but in everyday use is a more practical and engaging bike to ride. Its upright riding position and larger seat, (contrasting with the Sport clip-on bars) enabled riders to travel in comfort over long distances for such a small machine, combined with surprising economy. Early models had a twin shoe drum brake, which was replaced with a single disc from 1976. Cast wheels followed in 1977/8, with a mechanical rev counter and plastic chain guard in the early 1980s, The model evolved into the K2 in 1982, with enhanced performance through modifications to the cam, and an electric start. Motorcycle Sport seeked the views of a "vintagent" Strada owner in 1978. One reason for his purchase was the "English way round" gear and brake levers and the push rod technology that negated the need of "tedious shimming" that was demanded by fancy Japanese engines of the day. 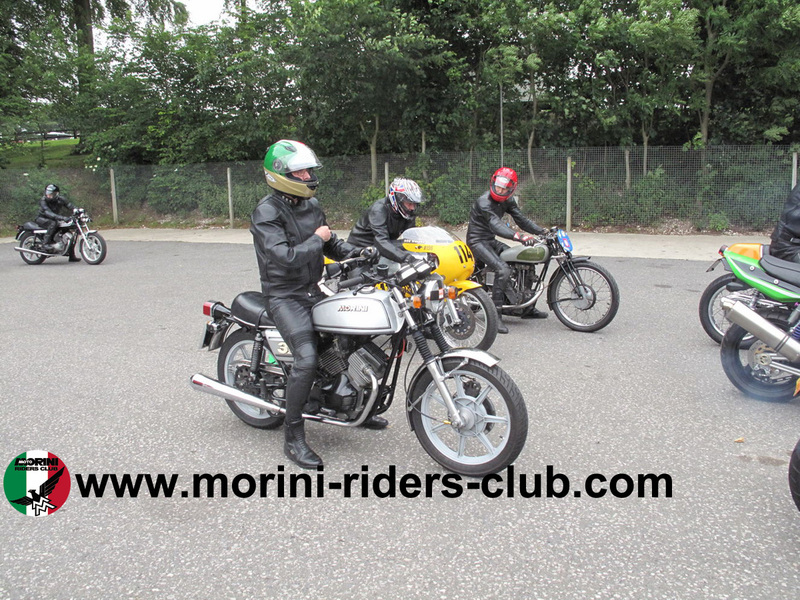 First impression were not positive however - poor carb setup, hard-to-find neutral, "lethal" drum front brakes, and an exhaust note not as good as a Coventry Eagle... Fortunately the Morini "looked a beauty". "Senior Citizen Motorcyclist" enjoyed testing a K2 with Harglo-fitted clip-ons and round headlight for Motorcycle Sport in 1985. The K2 had "a nice cruising speed around 120 kph," "good handling and steering," "easy" gear changes and returned 78mpg over a long A-road run. Brakes proved to be "really good" by safely negotiating the two cats that ran out in front of the K2. Roland Brown compared 12 years of Morini development for Bike magazine in 1986 by pitting a drum-braked Sport against a new K2 and came to the conclusion that they felt "strikingly similar." He found "increased midrange power" from new jets and cams and an improved left-foot change gearbox that made finding neutral a much easier task. The newer K2 engine was "hardly more powerful but more refined and easier to use." Brown came away impressed by the "very pleasant" K2 but ultimately preferred the "real classic" drum Sport.